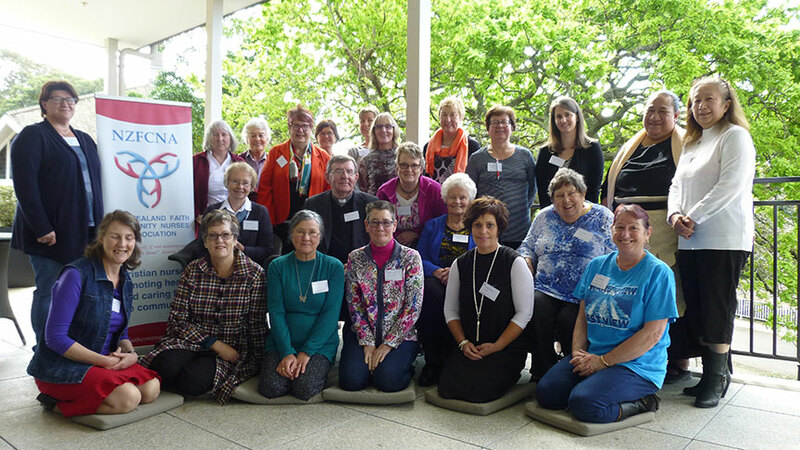 WelCom November 2017: As a Parish Nurse working within our rural area in Marlborough I was privileged to be able to attend the NZ Faith Community Nurse Association Conference and AGM, held this year in Auckland on 8‒9 September and attended by approximately 30 nurses. This conference, open to not only Parish Nurses working within church and community environments but to all Christian nurses, provides a wonderful opportunity of education, fellowship, spirituality and prayer and a sense of community. With the theme ‘Jesus is the same yesterday and today and forever’ Hebrews 13:8, we reflected on Christ’s unending love as we listened to speakers over the two days. Helen Wordsworth, co-founder of Parish Nursing in UK, shared research for her doctorate and now published book, entitled Rediscovering the Ministry of Health, Parish Nursing as a mission of the local church. Helen talked about laying down the foundations for this role and incorporating fundamentals of the nursing process to be effective within Church environments. Her commitment to this ministry was inspiring and heart warming. Other presenters included Elizabeth Niven from Auckland. Elizabeth, a past president and life member of the association, spoke on current research and thinking around spiritual care and dementia. With natural disasters prevalent in our country and not too far from our minds Janet Hogen from the West Coast spoke about the importance of readiness in times of emergency or crisis and the need for procedures to be in place for successful outcomes. I was able to share my experiences of the Kaikōura-East Coast earthquake last year and the effects it had on my role as a Parish Nurse working within the community. This annual conference is a true opportunity to come together as Christian Nurses from around the country, to share experiences, fellowship, concerns, prayer and knowledge. I would encourage any nurses who wish to have an understanding how we can incorporate faith with our nursing skills within our church and or our community environments to come and be part of this time of togetherness. Rachael Westenra is a Parish Nurse in Star of the Sea Parish Marlborough. Rachel Westenra, front 3rd right, with Faith Community nurses.